All this week, The Good Catholic Life is bringing you some of our favorite shows from the past year (although on Friday, we’re bringing you one all-new show with Scripture scholar Stephen Fahrig. Don’t miss it). We will return on January 3 with an all-new show for the new year. 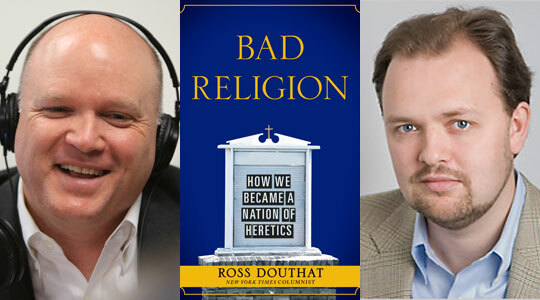 Today we bring you an encore presentation of Scot Landry’s interview with New York Times columnist Ross Douthat. Douthat’s new book “Bad Religion” looks at how the landscape of American spirituality has changed over the past 60 years–from traditional orthodoxy to individual spiritualism– and what that means for our society and culture. Scot Landry and Douthat talk about the American religious revival after World War II in a common Christian orthodoxy and then splintered into a series of heresies that hold sway today.